International Schools or Spanish State Schools? You are here: Home / Moving to Spain. Really? The HONEST Truth from Real People (Expats) Living in Spain.. / International Schools or Spanish State Schools? Do you put your child into the Spanish state system or do you opt to put your child into an International school in Spain? This is one of the biggest dilemmas that parents face when they have decided to move to Spain. Even when you live here in Spain it is still an on-going question that you will ask yourself as you hear many different things about schooling in Spain from both parents who have their kids in the Spanish school system and from parents who have their kids in International schools. We examine a lot of the Spanish school versus International school issues elsewhere on this site but the article below is unique in that it interviews two girls who are at an International school on the Costa del Sol. So you actually get to hear what they think of life (and school and education) in Spain. We also have a video below that interviews English children about their experiences of life in Spain and how they view the Spanish children/kids. Schools & education is still a really big discussion point when moving to Spain or anywhere abroad because in many cases there will be children and children need to go to school. I receive many questions about schooling in Spain and on most Expat Forums there are discussions and questions about people thinking of moving to Spain with kids asking what schools they should choose. 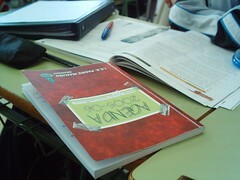 Many articles have been written about education in Spain and we all have our own opinions, some stronger than others. I had very strong opinions about schooling and I was completely set on either a Spanish State or Spanish Private School…now my daughter is in a Private Bilingual International School. When it gets to the nitty gritty things change! 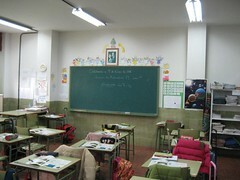 I have been in Spain for 5 years now and I have seen numerous scenarios when it comes to kids schooling. I have seen a number of people move here and what I would call “dump their kids in the Spanish State School”. Now, there is nothing wrong with Spanish State School at all, but even a child of 8, 9 or 10 years old has feelings. Imagine being a little 9 year old girl, just moved to a new country and thrown into a huge Spanish School and she can’t speak a word of Spanish, because her parents didn’t prepare her. Just a few Spanish lessons back in the UK before moving here may have made life a little easier but instead a house, car and nights down the Port are sometimes more important than a child’s schooling. Yes, it is true, children adapt. I went to 3 primary schools and 2 secondary schools, but I still had feelings and hated having to be the new kid all the time. I do believe changing schools has affected me too. Just being the new kid was bad enough, imagine being the new foreign kid that can’t speak or understand anything just like this little girl. I watched this little girl get more and more introvert and couldn’t believe that the parents couldn’t see what was happening. It doesn’t have to be like that and if your kids are already at a school in the UK and you are thinking of moving to Spain then they could just slot straight into the English Curriculum. The only agony would be to make new friends. Schools aren’t cheap here and I would say more and more British people are putting their kids into State Schools because they can’t afford it or just don’t want to pay for it. But for a moment just try and imagine how you would feel being thrown into a new school in a foreign country. I’m not in favour of Private nor State Schools, I just wish more people would take kids feelings into account. I once met a German woman who had moved to Spain with her son who was 14 years old… they didn’t speak a word of Spanish and she put him into a Spanish State Secondary School and didn’t even know the name of it…I was completely astonished…14 years old is such an important time in a child’s education. We have never heard anything from a kid’s point of view so following is an interview with 2 girls I have known for 5 years now. They moved here when they were just 6 and 10, they are now 11 and 15 years old and at an International School on the Costa Del Sol. We will call the 11 year old Laura and the 15 year old Sara. Do you remember when your parents first told you that you will be going abroad? How did you feel? Sara, I was just 10 years old. I don’t think I completely understood what was about to happen but it felt a big adventure when the house was getting packed up. Laura, well I was just 5 nearly 6 years old. I don’t really remember much about it, just a lot of moving things around. What was the first thing you thought of – Friends, School, Family? Sara, My first thought was that I wouldn’t see my family. We were quite close and I often saw my Grandma. At first the thought of leaving my school didn’t really bother me, but as it got nearer to leaving I started to get quite sad at the thought of leaving my friends. We had a leaving party and that’s when I got really upset and realised we were really leaving. Laura, I didn’t really think about it as I was so young. But when I got to Spain I did miss my family. When I saw our apartment for the first time I thought it was very different as I had lived in a house but my parents put all our furniture and pictures up in our bedrooms just as they were before in our old house and then it felt like home very quickly. I think if we didn’t have all our stuff it would have taken longer to settle in. When was the first time you saw your new school and how did you feel? Sara, When we were in the UK we saw lots of brochures for the schools here. Then when we came here we didn’t go to school straight away. Once our parents decided on the school we went to see it and it felt quite scary. Seeing so many new people and the thought of having to make all new friends again was quite daunting. I had an interview with the Head Master which was really scary. He just asked me a few questions like what are my favourite subjects, what would I like to be…stuff like that. Laura, I was so scared and nervous. People were very nice though from what I remember. I also had an interview but don’t remember it very clearly. What was your first few days at school like? Sara, I really hated my first few days at school. I was the new girl and I just sat at the back of the class and it felt like everyone was staring at me. Soon though I became friends with one girl who then introduced me to her friends and then it was all ok. It did seem like I was the new girl for ages as no one else came for a few months. What other nationalities are in the School? Sara, There are loads of different nationalities, Indian, German, Dutch, Norwegian, Spanish, Irish, just so many and we all just get on with each other, it is great. Laura, yes same as above, oh and French, I’m friends with everyone. Did you carry on with your studies as normal in your new school? Sara, yes I think I just slotted straight in. The work was exactly the same, I didn’t feel I was neither behind or advanced in any way. Laura, I think it was just the same thing as I was doing in my old school….I don’t recall it being any easier or harder. Was there any difference in the way you were taught? Sara, Yes, the way they taught in our new school did seem different. You had to get used to different teachers obviously but here the methods in Maths and Science seemed different to my school in the UK. I think that one of the main difference is that we do a lot of work outside, like go into the Campo (countryside) to collect leaves and see animals, birds etc. Often we can do our art lesson outside which is fabulous. We also have a swimming pool in my school which is amazing. Laura, I can’t remember I was so young, sorry. Sara, I have never been bullied, but there is petty stuff that you get in every school I think. If there was something major though, I do feel I could go and speak to a teacher about it which is good to know. Laura, I was bullied once in year 1 but that was just stupid stuff by a stupid boy, but nothing since. Do you learn Spanish ? How often a Week? Sara, I’m in Year 10 and I do Spanish 4 times a week for 45 minutes. I don’t feel its enough though. We learn proper Spanish but we never really get to speak it. Also, here in Andalucia, the Spanish talk so fast and also don’t pronounce the endings so it is quite difficult to understand anyway. Laura, I’m in year 6 and I do learn Spanish, but only get it 3 times a week for 45 minutes. We learn but we don’t get to actually speak it. What other languages and subject do you do? Sara, I’m doing my options. Its compulsory to do English and Spanish but you can do German or French. In year 9 science changes into 3 sciences, biology, physics and chemistry and in year 10 you can choose which ones you want to do. There is also English, Drama, Art, Chemistry, Biology, Physics, PE is compulsory, Geography or History, Business Studies and IT. The computer room is brilliant and has loads of computers, at least one for everyone in my class. I do computers 4 times a week. Laura, I do English, Art, PE and in PE I do football, swimming, handball, basketball, and next year we will do rugby. There are lots of rumours of kids being extremely wealthy and having expensive things…is this really true? Sara, There are lots of kids that have wealthy parents but they don’t just give their kids everything. They want their kids to have a good education and be as normal as possible. Most of my friends who are quite wealthy are quite down to earth. Laura, some of my friends have massive cinemas in their houses. Some kids are quite down to earth and some like to boast about what they have. Where do you see yourself once you finish school? Sara, I will probably want to move back to the UK and hopefully go to University. My family is still there in the UK so I will always have a home there. I have no idea what I want to be, I keep changing my mind, from doctor to lawyer. Does it get harder for people to join your school as they get older? Sara, I think it does, you get new sixth formers and they have to pick up exactly where they are before some major exams and I think some of them find it difficult. There is not many that join in the 6th form but a few. This year we had quite a lot of new kids start in my year and the younger years, there are always kids coming and going. Laura, There are always new kids joining and they all fit in really well to. I think its easier to join when they are younger though. When you are at school does it feel like you are in a different country? Sara, I do feel like I am in Spain even though everyone speaks English. I feel quite lucky being here being able to learn when the sun is shining we can go outside more. Laura, I know I’m in Spain because the weather is lovely… but because so many English people are here I wouldn’t think straight away I’m in Spain as most of the teachers are English too. Have you made good friends since you have lived here? Sara, Yes I have made some really good friends. There have been a few people that have left and one was my best friend and that was really upsetting. When I see them again when they come on holiday I feel they are completely different. I find them very materialistic, have to have all the latest fashion, ipods, phones etc. Laura, I have made some really good friends here. Do a lot of people move school or move back home? Sara, Yes there are quite a few people that move back to their home countries. People go back for all different reasons, but mainly money I think, some are just homesick. I know some people who left Spain to go back home and then come back to Spain again because they missed it. Laura, I have lost one friend who went back to the UK, they said the whole family missed being in the UK. Do you like your school? Sara, Yes I do, it is really good. It is like a big family (said with a big smile on her face). Because the weather is so good here we can go outside to do much more which is so nice. Laura, I really like my school, as my sister said its like a big family. Everyone is really friendly. (Also said with a big smile on her face). What do you miss about England? Sara, I miss the shops, the English people and Christmas. Christmas in England is great, it doesn’t always feel like Christmas here. Laura, There aren’t many parks here as there are in the UK but you have the beach which I love! Do you feel you live a Spanish Life? Sara, No, Its quite Anglicised here. When I go into the Old Town in Marbella then I feel I’m in Spain, but here…no it’s very English. Laura, Not really. There’s so many English people living here that its not very Spanish. Do you have any Spanish Friends? Sara, Yes I do, there are many Spanish kids in my school. Do you live in a Villa or Urbanisation and what is it like? Sara & Laura, We live on an urbanisation with swimming pools which is great. Sara, We live in an apartment on an urbanisation with swimming pools which is great. It is good, I feel very secure here. We’ve built a community and have made lots of friends living here. In the summer its amazing, its so nice to go out and do whatever you want as the weather is so great, like going to the beach or having a bbq. You can’t plan in the UK as the weather is so depressing. When I do go back to the UK I just want to come back to Spain asap. The last day of school everyone goes down to the beach and you know its going to be sunny. In the summer we have 10 weeks holiday and either go up to the pool all day, shopping or to the beach. Laura, I really like living on an urbanisation it feels really safe. I’ve made alot of friends that live here and in the summer the same kids come back each year and we all meet up at the pool everyday. Its great fun. I’m always up at the pool or messing around the urbanisation with my friends and sometimes playing out untill 10pm although I might not be allowed this summer as I got into a bit of trouble last summer. What about the Winter here? Sara, I quite like it when it is cold here because it is so hot for so long here. Its quite nice to wear proper clothes again. Family come over to stay in more in the winter too which is nice. Laura, I like the winter here because its cold but not as cold as the UK and you still get some really nice days. Do you feel safer here than at home in the UK? Sara, yes a lot more, walking down the street in the UK was a little scary, but I never feel that here. If you go for a walk there is always someone that you know here around. Laura, Yes I feel really safe here. I get a little scared going out at night in the UK. I feel much safer here. There always seems to be gangs in the UK. Do most of your friends live in villas or urbanisations? Sara & Laura, Some live in villas, some in town houses and some in apartments. Everyone goes through the phase of wanting a villa but I love my urbanisation. It is nice being at friends who have their own pool too though! Do you really enjoy living in Spain? Sara, YES, (said with a big smile and eyes lighting up). Its a great opportunity to live in another country. Its hard to get depressed here when the sun is shining. Laura, I love living in Spain (smile). For me, hearing the girls talk about their school and living here is very positive. They really love it here in Spain and if you could see the smiles on their faces and their eyes lighting up when they talk about living here, I think it would make you smile. OK, so they are not living a typical Spanish Life, but the fact that they love their school, they are happy and they feel secure – can you really ask for anything more? I have no doubt there will be a child who is equally happy in a Spanish State School and hopefully that will be my next article very soon. So if you are thinking of moving to Spain with kids, then maybe this article will give you some peace of mind knowing that it is possible for children to just slot straight into school depending on the curriculum you choose. This may even give your children some peace of mind too. This was written by Joanne Harris who also writes for Nueva Andalucia Life. It would have been nice to have had a report from children who are in the Spanish school system – I feel that this article is a bit one-sided. I, my son and daughter-in-law and two grandsons aged 8 and 5 are seriously considering a move to Spain, but with me retired and my son on an invalidity pension, an International School is out of the question. I have seen a mention of Colégios Concertados on another site which are state-run private schools, where help is given with the fees and I would dearly love to find out more about these. We are all beginning to learn Spanish and my elder grandson already has Spanish lessons at their International School here in Denmark.